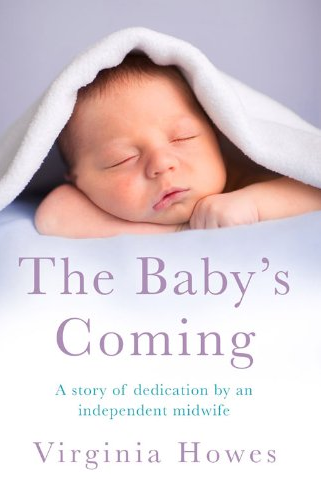 The Baby’s Coming by Virginia Howes was a book I had apprehensions about. I read this during the last stages of my midwifery training and was a little anxious that it might become one of those books (and tv programmes, films, articles…) that just annoys and infuriates me. It’s not necessarily the subject of this sort of book that annoys me but usually the editing, where things aren’t quite right. Just ask Jim what I’m like watching Casualty and you’ll get the picture*. This book is one of the few midwifery autobiographies that hasn’t driven me to distraction and is now gladly welcomed into my exclusive “Midwifery Books I Enjoy” club alongside Baby Catcher by Peggy Vincent and the Call the Midwife trilogy by Jennifer Worth. This is because although some bits did frustrate me, they were the bits that were meant to! Also the way the births and care were described were something I could entirely relate to as a student midwife transitioning into a qualified one. As an autobiography, the book describes Virginia’s life from her teenage years, through her experiences as a parent, her nurse and midwifery training and finally her practice as an independent midwife. It was interesting to read about some of the experiences she had during her training and think about how much has, and unfortunately also hasn’t, changed. The main reason I bought the book originally was because I wanted insight into independent midwifery. At this point in time, I have no plans to become an independent midwife but you never know! Virginia describes well the differences between practice in the NHS and independent practice and the benefits and challenges independent midwives face. Of course, most of the readers of the book won’t be midwives or students and this book caters for the ordinary reader as well. If you like books about birth and babies, this will not disappoint and the descriptions of the births are some of my favourite bits. Some will make you laugh, others will make you cry. All will keep you entertained. Definitely would recommend this to midwives and students as well as mums, dads, anyone interested in what independent midwifery is and the perspective of an independent midwife. Sorry about not posting for a while! I’ve been very busy finishing off my midwifery training! Now I’m off for a few weeks and hoping to do some catching up on my reading. 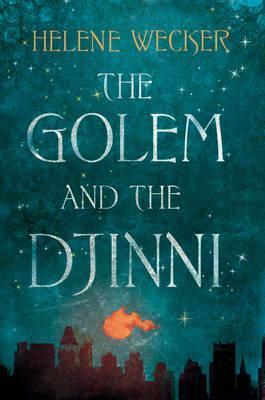 The Golem and the Djinni by Helene Wecker is a book I’ve extremely enjoyed. It took me a long time to read but that’s a good thing: I got to enjoy it for longer! Set mostly in early 20th century New York, the plot focuses around Chava, a golem without a master, and Ahmad, a djinni who is released from a metal oil pot after several thousand years. It describes their struggles to live and fit in not only as non-humans in a human world but also within the cultural groups populating New York in that time period. The book is vibrant and colourful. I loved that the chapters alternate between the back stories of some of the main characters and the present day. Going from Little Syria, to Jewish towns in Europe to the Arabian desert might sound a bit haphazard but the book flows beautifully and the variety of people, places and events keeps the reader’s interest spectacularly. This book also weaves themes of human poverty and struggles with magic and mythology into one single and beautiful literary blanket. There is a piece of plot or character in this book that everyone can enjoy and relate to in some way. The fantasy elements seem incredibly at home with discussions about running a business or someone becoming ill or dying. Nothing seems out of place. I would definitely recommend this book to anyone who enjoys fiction at all. There are more historical and fantasy elements than others but I really do think this is a book anyone could enjoy if they have the time to read it.